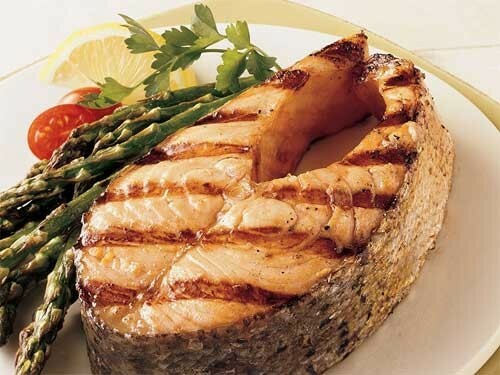 According to a new research, eating fatty fish is better for heart health than taking omega -3 supplements. The research was carried out by the School of medicine of Harvard University and published their findings in the «American Journal of Clinical Nutrition». They studied the eating habits of more than 20,000 people and found that regular fish consumption is clearly linked to a reduced risk of heart problems. They also examined the effects on heart health from regular consumption of omega-3 supplements. The results were unclear and inconclusive. The American Heart Association recommends eating fatty fish (salmon, sardines, tuna, and herring) twice a week and the new research confirms the importance of this recommendation. Some people prefer to get the beneficial omega-3 fatty acids found in fish, not by eating fish but through the intake of fish oil pills and capsules. However, according to the new study, the benefits are not as good as the consumption of fish. The U.S. researchers found that about seven out of every 1,000 people who ate fish less than once a month, suffered a heart problem, versus a smaller percentage of approximately four in 1,000 people among those who ate fish more than once a month. In simple words this means that there is approximately 30% lower risk of heart diseases among those who eat fish more often than those who do not eat fish. More complicated is the picture about the effect of omega-3 fatty acids. Of these, the acids EPA and DHA, which are primarily responsible for the protective effect of fish, do not offer any particular benefits on their own (in the form of supplements). At the same time most concrete is the relationship between the reduced cardiac risk and fatty acid DPA. Alice Lichtenstein of the Cardiovascular Nutrition Laboratory (Tufts University) said that after the findings of the new study, the role of omega-3 supplements in providing a “quick fix” for cardiovascular problems has lost its role. The conclusion is, as she said, that the focus should be on following a healthy diet, especially for people who face (or are at high risk) of cardiovascular problems. Those people need to eat more oily fish at least twice per week.